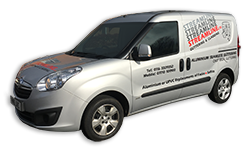 At Streamline Guttering and Cladding, we have a specialist team of guttering experts, all of which are fully trained in the latest guttering services. Our quality guttering, cladding, soffits, and fascias are second to none, and we are proud of the reputation we have gained as a professional and friendly team. We provide traditional and modern guttering services throughout Leicester and surrounding areas. Guttering is essential to the external workings of any property, ensuring that rainwater is channelled from a roof to the drainage system effectively and by maintaining it, you can protect your building from water damage or dirt. It is essential that gutters are regularly checked and maintained, especially during periods of extreme weather conditions. It’s vital that damaged guttering is dealt with immediately to reduce the risk of any further damage to your property. We undertake all domestic, industrial and commercial guttering requirements. If you’re a homeowner looking to modify your house or improve the external presentation with a view to selling, then we are the company to call. Similarly, if you’re a business looking to significantly reduce your running costs, then our guttering and cladding solutions could be just what you need to minimise maintenance outlay and the damage caused by inadequate gutters. Don’t forget, all of our products and services come with an extensive 15 to 30-year guarantee. We can provide you with flat roof repairs, seamless guttering, fascias, soffits, and cladding. As a customer, you can rest assured that your work will be undertaken with pride and a sense of care. We promise a quick response to all enquiries from our customers. Even the smallest of gutter repairs need to be treated as a matter of urgency. It is apparent that even minimal damage should be looked at, in order to prevent a small issue turning into a major problem. Our roofing technicians in Leicester are highly experienced, and will personally ensure that every job will be completed to impeccable standards, and surpass the expectations of our customers. For further information contact us today and we will be happy to provide you with a free quotation. Responded quickly, did an wonderful job and for a very reasonable price. thank you Dean! We are your local specialists, based in Leicestershire and covering surrounding areas! Call today! What Gutters Should I Get? All of our products and services come with an extensive 15 to 30 year guarantee! W3C Compliant HTML5 | Website & Marketing by Success Local Limited | Some images supplied by Commons Wikimedia & Geograph.